This note presents charts and tables about electricity supply in Denmark in 2018. It includes the electricity balance, spot prices, exchanges and developments 2011 to 2018. It discusses congestion income for the interconnectors and the reduced transfer capacities for important interconnections with Sweden and Germany. Read the 2018 electricity overview for Denmark..
ENTSO-E, the European Network of Transmission System Operators for Electricity, has analysed a large number of European transmission projects. In three different scenarios, the benefits of the Viking Cable between Denmark and England seem to be far from sufficient for making the link profitable. The problem is that European electricity production is in a transition with challenges and uncertainties. Traditional profitability analyses may not include all potential benefits. Media and system operators have warned about falling capacity of dispatchable power sources and increasing risk of power shortage in Europe. According to the "Mid-term Adequacy Forecast 2018" from ENTSO-E, the risk of power shortage will be increasing from 2020 to 2025 in some countries, but it will still be at an acceptable level. The precondition is efficient international coordination of electricity trading, transmission, system control and production. Does international solidarity go that far? I have collected some contributions. The pattern of electricity flows in Europe shows interesting changes from 2017 to 2018. Among the 16 selected countries, the 11 importing countries have imported 26% more in 2018 than in 2017. The result is that the group of 16 countries has changed from a net exporting group into a net importing group. Poor performance of Belgian nuclear power is one of the reasons. Hourly time series with exchanges in 2018 are available in the Download Section. Inadequate planning of the German "Energiewende"? The German Federal Auditing Office (Bundesrechnungshof) has published a critical report about the management of the energy transition (die Energiewende). The report refers to the sixth monitoring report from the German Ministry for Economy and Energy, who is in charge of the energy transition. However, studying the two reports from a European point of view raises even more questions about the transition. Here is my comment. Nordpool receives every day a large number of bids from market participants, who want to sell or buy electricity the following day. 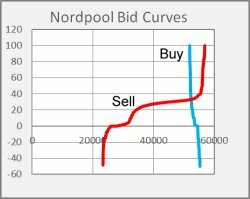 The bids are confidential, but the result, a supply and a demand curve per hour, is available as tables on the Nordpool homepage. Supply and demand curves are useful in analyses of prices and exchanges in the spot market. This note presents a tool for converting the table for a day into 24 charts and it demonstrates the analysis of two extreme cases from 2018. The weather in June and July 2018 was hot and dry. Low rainfall caused drought and low water levels in the Norwegian hydro reservoirs. Even the wind energy output was below the normal level. The result for Denmark was more electricity import and increasing spot prices. The security of supply has not been affected, but the case is an opportunity to study the robustness of the electricity supply systems. See my overview for June and July 2018. The energy transition in Germany (die Energiewende) has not been properly prepared. The infrastructure development should have been coordinated with the expansion of wind and solar power. The necessary transmission lines are far from ready. The result is wind power curtailments, congested grids, negative spot prices, import limitations, too high GHG emissions and an increasing export of electricity. See European Electricity Flows in 2017. Hourly time series with exchanges in 2017 are available in the Download Section. All political parties in Denmark want to be green. The most important green initiative seems to be new wind power. The opposition parties are outbidding the government's plan for new offshore wind. The Prime Minister has responded in large newspaper ads by presenting Denmark as one of the world's best climate nations. I decided to seek facts about the Danish emission of greenhouse gas. See my findings here. Cold weather this winter in the UK and in the United States has revealed bottlenecks in the gas supply systems. The oil crises in the 1970s are forgotten and the energy analyses seem to ignore the risk of energy shortage. Coal covered most of the increased demand for electricity during the "Bomb Cyclone" in USA. The National Energy Technology Laboratory (NETL) is concerned about the system resilience in the future, when coal will be phased out. Read my summary. Denmark integrates wind power by export of wind power peaks. Germany has about 20% wind energy, mainly in Northern Germany. Germany had 147 hours in 2017 with negative spot prices. A well-known bottleneck in Sweden, the west coast corridor reduced import from Denmark, particularly during Danish wind power peaks. 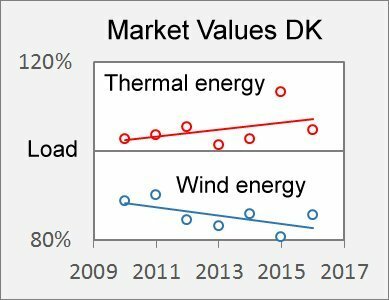 Norway is still a reliable market for Danish wind energy, but for how long? Read more in "Electricity in Denmark 2017". In previous posts, I have informed about improved sources of European time series, see 4th March 2017, 22nd February 2017 and 16th December 2016. A new advanced web site, Energy Data Service, with Danish power system data has been developed by Energinet. I have developed tools for conversion of the new data formats into simple hourly time series. See the new opportunities here. Due to the improved data access, my collection of time series will not be updated henceforward, but I can provide hourly time series as per agreement. 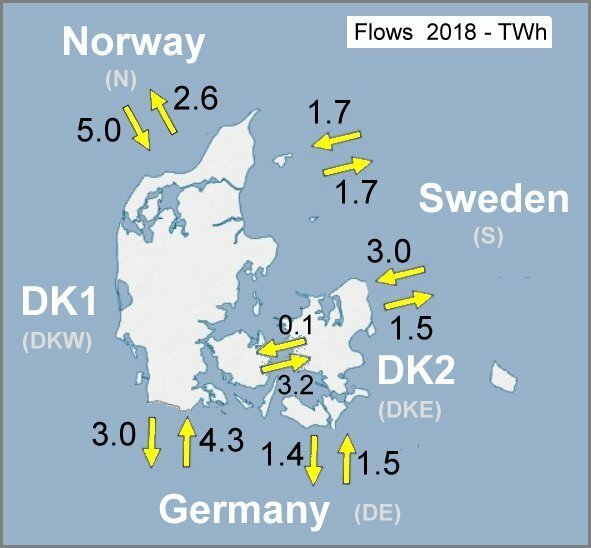 The operational patterns for 2017 can give an impression of the backup capacity, which is currently needed for the integration of wind power in Germany, Great Britain and Denmark. During some Christmas days in 2017, the Danish wind power output had the same magnitude as the electricity consumption (See the Danish charts). Besides, some thermal power plants produced the necessary heat for district heating and the corresponding electricity. In contrast, the total Danish wind power output was less than 100 MW for several hours on 19th December. Traditional production and import had to cover the electricity demand. Transport of wind and solar power in Europe is increasingly hindered due to grid bottlenecks and inefficient market couplings. The electricity sector has not been able to satisfy the increasing demand for transmission. The European Commission has seen the need for coordination. EU's Transport, Telecommunications and Energy Council will discuss a comprehensive proposal on the internal electricity market on 18 December 2017. Read my introduction to the proposal. It has been a mystery to me how the Viking Link will be able to give sufficient return on investment because the wind power waves in Great Britain and on the continent are not that different. The answer is that it is not enough to look at the wind power profiles. The corresponding spot price profiles will have other shapes. Profitable operation is possible, but the profit will be sensitive, for instance to the implementation of flexible electricity demand such as power to heat and large scale batteries. 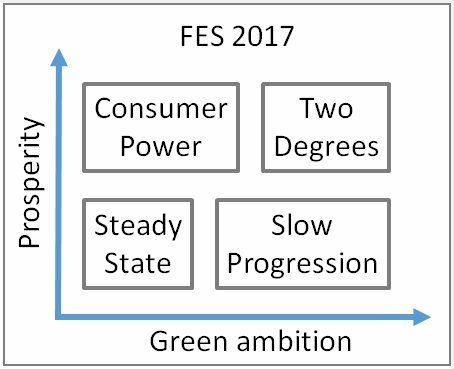 National Grid publishes regularly Future Energy Scenarios (FES) for Great Britain. The 2017 edition suggests a green future based on wind energy, electricity import and new nuclear power stations. Imported gas will remain a key element of the energy supply. The result will depend on future prosperity and political determination. Download the excellent publications from the FES website or read my introduction. It is well known that the integration of non-controllable power sources, such as wind and solar power, requires increased flexibility from other elements in the power systems. Numerous smart concepts have been discussed during the last 20 years, but the necessary flexibility is still provided by traditional power stations. Will the new concepts be ready for implementation in due time? Follow the change of the monthly production profiles for Germany, Great Britain and Denmark (under "Short Statistics"). An additional evaluation of the German power system in 2016, based on reactions to my recent note, 'Getting Rid of Wind Energy in Europe', demonstrates the importance of the fossil fired controllable capacity. Corresponding Danish results are used for a comparison of power systems with 23% and 40% penetration of wind and PV. Is the German Climate Target in 2020 Unattainable? In a note from February 2016, I asked if Germany would be able to meet its CO2 targets in 2020. Today Agora Energiewende announced that German greenhouse gas emissions for first half year have increased from 2016 to 2017 (see message in German). Agora Energiewende adds that without an immediate action the target 2020 "would clearly fail". The German Umwelt Bundesamt has published results 1990 to 2016. Once renewable energy was a local matter. A local wind turbine was supposed to supply the village with electricity. Now an oversupply of electricity is driving market prices down and large interconnections are planned in order to find foreign markets for the wind power peaks. It will take a massive implementation of flexible electricity demand to break the trends since 2010. My analysis of trends and opportunities in Europe. Several people have noticed the very low output from the Danish central CHP units on 7 June. The import from Germany was about 2,000 MW until 19:00. What was the background? This note is an attempt to describe the market and the exchanges with Germany, Norway and Sweden. AEMO maintained the required operating reserves prior to the blackout according to the national security rules. The final report blames the control setting of several wind turbines for the blackout, but it does not discuss if the National Electricity Rules chapter 4 on power system security need an update to meet the challenges of new inverter connected generation. AEMO's final report and my observations. Have Electricity Spot Prices hit the Bottom? The fuel prices have been falling since 2011. The forecasts have predicted increasing fuel prices the last four years. Eventually they must be right. Average electricity spot prices seem to follow the crude oil price. I have analysed and discussed prices for the years 2010-2016. My results. It was my intention to end the preparation of time series for European power systems with 2015, but the ENTSO-E time series for 2016 proved to be defective. I downloaded and completed certain data for my own use and decided to make these data available to users of my homepage. My introduction also includes a guide for download of data from the Transparency Platform. Link to Download Section. Bottlenecks in the Nordic Grids during the Storm "Urd"
Readers of my note from 30 December 2016 have asked why Sweden has prevented a transit of electricity from Denmark to Norway. This additional note tries to locate some of the bottlenecks in the Nordic grids from 22 December to 31 December 2016. The "west coast corridor" in Sweden is a real problem to Svenska Kraftnät. We cannot exclude that curtailment of import under certain circumstances is the only way out. Additional wind and solar power in Europe will make such circumstaces more frequent. An update report from the Australian Energy Market Operator (AEMO) reveals new details on the circumstances of the blackout. A non-credible combination of circumstances caused the event, but AEMO also indicates that better weather forecasts and adequate information on the wind turbine protection systems could have activated more suitable preparations. AEMO's third report and my summary. Grids Challenged by the Christmas Storm "Urd"
The Christmas days in 2016 were characterized by strong winds. The wind power variations were handled successfully by the Danish grid operator, Energinet.dk. It has apparently been necessary or profitable to curtail wind power in Denmark. My note describes Nordic and German spot markets and power exchanges for the days 22 to 27 December. I have collected hourly time series for a number of years. Better data sources than the collection on this site are now available, and I can with a clear conscience stop collecting more time series. I am happy to see the need for such data widely acknowleged, and I would like to thank the foreign colleagues who have contributed to the collection. The exchange between Germany and Austria often forces Germany to carry out redispatch (or countertrade) due to bottlenecks in the German grid. Redispatch is expensive. Therefore, the German Bundesnetzagentur (Federal Grid Agency) is now considering other measures. Austria is concerned about the possible loss of trading capacity with Germany. The estimated cost of the Viking Link is 13.5 billion DKK. The project is expected to make losses the first 7 years of operation. The revenues depend on different carbon taxes in the two countries and on unexplained increasing revenues after 2030. Will it be just another public project based on too optimistic assumptions? The details of the profitability calculation are secret. Three 275 kV lines and 315 MW wind power were disconnected during a heavy storm in South Australia. Import from Victoria increased correspondingly and the interconnector to Victoria tripped for overload. The Australian Energy Market Operator (AEMO) has published a preliminary report on the incident. AEMO's preliminary report and my summary. The discussions at the recent meeting of the EPS Energy Group included a wide range of important energy topics from climate change, EROI (energy return on energy invested), nuclear power policy, spot markets and transient stability to preferred subjects for new research. You can se presentations from the meeting here. In 2014, the Danish Energy Agency claimed that wind power was the cheapest technology for electricity production. This announcement should be modified for two reasons: Offshore wind was (and is) an expensive technology and oil prices have dropped to a third of the level in 2014. Onshore wind is still among the cheap technologies, but offshore wind is together with all analysed biomass technologies rather expensive. Will nearshore wind be a main energy source in the future? The fuel price forecasts, published by Danish authorities, are supposed to be a guide for energy planners. 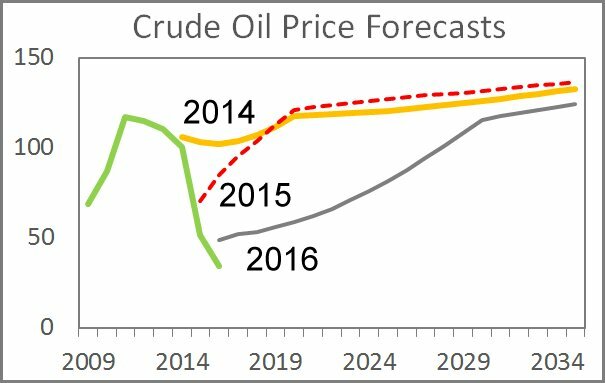 From 2015 to 2016, the expected crude oil price in 2020 fell from 120 DKK/GJ to 49 DKK/GJ. The variation shows the magnitude of the uncertainty of the forecast. Energy planners and investors should carefully analyze and understand the extreme cases in order to prevent economic losses. The First German TV (ARD) broadcasted an interesting programme on the economic interests in the German wind energy subsidies. Here is my brief presentation. The European Commission has published a new volume of the European quarterly wholesale electricity prices. Average wholesale prices for fourth quarter of 2015 and for first quarter of 2016 have been added to the short statistics. From fourth quarter 2015 to first quarter 2016 the average spot price for all countries concerned has decreased from €/MWh 43.5 to €/MWh 33.2. During the recent oil price peak, the Danish Energy Agency (DEA) published production costs for electricity from different technologies. The headline was that onshore wind was the cheapest technology. The results also showed that biomass technologies were the most expensive. Since then, the crude oil price has decreased to less than half. More realistic long-term fuel prices might change the merit order, but biomass technologies would still be the most expensive. The use of biomass for CHP units in Denmark looks like an expensive mistake. My note on price forecasts and a cheaper way to a fossil-free future. My article "Towards 50% Wind Electricity in Denmark - Dilemmas and Challenges" has been published in the European Physical Journal - Plus, 131(5), 1-12. The article is available for free here. European electricity consumers support renewable energy, but at different levels from 0 in Finland to 40 €/MWh in Italy. EU considers the Danish support scheme (PSO) to be in conflict with EU competieion rules. Therefore, the Danish government wants to move the RES support from the electricity bill to the state budget. This would not only bring us in line with Finland, but also remove the PSO cost from Danish enterprises. See my note on RES support and industrial electricity prices in Europe. Denmark will not maintain power stations as backup capacity. ENTSO-E's Scenario Outlook & Adequacy Forecast 2015 seems to support this position. Read my comment on ENTSO-E's report. The average wholesale price levels for electricity can vary between countries by a factor five. The main reasons are grid bottlenecks and inefficient market arrangements which prevent the equalizing of prices across Europe. The bottlenecks also provided revenues to the European grid owners. Read Lucrative Bottlenecks, which explains the principle of the bottleneck fees and presents Danish results. Most countries are transforming their electricity supply systems by installing more wind and solar power. These technologies are fluctuating and non-dispatchable. Essential characteristics of the power systems are changing. I have added a new section with short statistics to this homepage in order to identify some trends during the course of change. Until now, the statistics include European quarterly wholesale prices and a selection of Danish trends. Will Germany Meet its CO2 Target in 2020? Germany installed 1.77 GW wind power i the North Sea in the first half of 2015. Due to bottlenecks in the German grid, the export capacity from West Denmark to Germany was reduced by more than 50% from 2014 to 2015. The Transparency Platform (TP) opened formally on 5 January 2015. Since then, TP collected and published time series with electricity market data for EU countries. So far, the 2015 data are incomplete for several countries. Therefore, 2015 data from the traditional sources will also be collected and presented in the download section of this web site. The source will appear on the top of each sheet. From 2010 to 2015 the production of wind energy in Denmark increased from 20% to 40% of the electricity consumption and the spotmarket prices were falling to about half the level in 2010. In 2015, the balancing of the non-controllable Danish power sources was still made abroad. Will these trends continue until 2020? Many ideas on a low-carbon European future have been presented. In most cases, the technical and political challenges have been ignored or played down. Now, a large-scale project, supported by the EU 7th Framework Programme, has presented detailed analyses of the development of a European power grid from 2030 to 2050 in an excellent booklet. Wind and solar power are non-dispatchable power sources. Access to sufficient flexible resources is necessary in order to avoid interruptions of supply and to limit curtailment of renewables. So far, neighbouring countries supplied most of the regulating work for the Danish electricity supply system. The Danish dependency on foreign resources increases with the wind and solar power capacity. Wind power and electricity exchange 2014. Will the Nordel Association Rise Again? In the past, the Nordel association was a successful case of Nordic cooperation. In 2009, all tasks were transferred to the European TSO organisation, ENTSO-E. A recent Nordic roundtable emphasized the need for a stronger organisational framework for meeting the future challenges at a Nordic level. Will there be a new Nordic electricity cooperation, and who will be in charge? Electricity spot prices in Denmark follow either Nordic or German market prices in most hours. Both the Nordic and the German spot prices have a significant decreasing trend, which is likely to continue. Increasing subsidies for renewables must counterbalance decreasing revenues from the wholesale market. Will German Electricity Prices be Stable Henceforward? The Federal Ministry for Economic Affairs and Energy in Germany promises cheaper electricity. Are they too optimistic? Is the same trend valid for Denmark? On 23 September I informed the Energy Group under European Physical Society (EPS) about the integration of wind power into the Danish electricity supply system. Agora-Energiewende has in a comment from 15 September 2015 observed the increasing gap between consumer prices and wholesale prices of electricity. Agora-Energiewende promises that consumer prices in Germany will not increase in 2016, "if electricity dealers calculate honestly". Link to the story at Agora Energiewende and to my comment. The July/August 2015 issue of the IEEE Power & Energy Magazine brings a series of interesting articles under the common head line, "Market Growth - Economics of Electricity Supply". I made a review of the articles, but recommend reading the full versions. A brief review cannot give a fair understanding of the complex issues. Several international media reported enthusiastically about the 140% wind power record in Denmark during the night of 10th July. However, the wind dropped already the next day. 94% of the Danish electricity consumers pay increasing PSO tariffs for renewable electricity. Instead, they get and increasing share of nuclear energy, according to the EU declaration of electricity origin. The Energy Group of the European Physical Society (EPS) has sent some interesting observations and recommendations on European energy policy to EU policy-makers. Denmark has high ambitions for the development and implementation of Smart Grid. A working group has evaluated Danish Smart Grid research. Several shortcomings have been identified. One major problem is that research in market design and communication is lagging behind. My presentation at the EnergiForsk15 conference (version in English). Some media have reported that Germany blocks import of power from Denmark. The Energiewende in Germany causes congestion of internal transmission grids. The German solution is redispatch, but limitations on international trade can reduce the cost of redispatch. See my overview of the transmission projects in Schleswig-Holstein with my comments on the market arrangements. The German Energy Transition (die Energiewende) is an increasing challenge to the electricity market. The most urgent problems are grid congestions and regional shortage of generation capacity. The green paper analyses the problems and presents alternative solutions. and here is my comment. The total amount of wind energy has been used as a proof of the successful Danish wind programme. The market value of the energy output also deserves attention. See my brief note: "The Market Value of Wind Energy". The twin storms Dagmar and Egon passed Denmark on 9 and 10 January 2015 and created new combinations of market and grid conditions. Here is an overview for 9 to 12 January 2015. There is a widespread interest for knowing what happens in the electricity market and in the transmission grid when wind power output exceeds electricity demand. There are good oportunities to examine such conditions during this stormy season. Here is an overview for 1 and 2 January 2015. 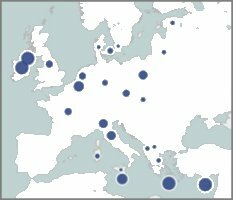 Thanks to interested members of the Energy Group under European Physical Society (EPS) it has been possible to add hourly 2013 time series for the Czech Republic, Finland and Spain to the data collection. Besides exchange data by country or by interconnetor was added for Denmark, Finland, the Czech Republic, Great Britain, France and Spain. Unfortunately, complete exchange data for Germany are still missing. See the download section. Click map to see where hourly exchanges are available (green arrows). The Rockwool Foundation has published a report on the cost of wind power in Denmark for the years 1998-2011. The report finds an average increase in electricity cost at 12%. This may be a fair price for the achieved reduction in carbon emissions. The question is why such cost-benefit calculations have been absent in the Danish climate debate. A new 196 pages report outlines a new regulation for the Danish electricity sector. Essential elements are better planning and information on security of supply. In 2013 the hurricanes Allan and Bodil forced Danish wind turbines to stop production. I have tried to uncover the facts. The Smart Grid concept is expected to contribute to balancing the fluctuating power from wind turbines and solar panels. The Danish energy research programs have published a report on the need for further Smart Grid development in order to achieve efficient operation with a 50% wind energy share in 2020. Link to the summary in English and to the full report in Danish. My collection of data in the download section was supposed to demonstrate the possible applications of a simple database with uniform data from several countries. I think that it is about time to evaluate the experiences so far and to develop a new and better database. See my presentation for the Energy Group Meeting of the European Physical Society. Denmark is closing efficient power plants down. Capacity arrangements in the neighbouring countries and a Danish deficit of dispatchable capacity will bring Denmark into a vulnerable position. DEA knew that the market value of wind energy is considerably lower than the value of dispatchable power. Nevertheless, DEA has plaid down this information in a new report on production costs for ten different technologies. Are the Grids Sufficiently Prepared for Emergencies? A letter to the editor of IEEE Power & Energy contains the disturbing observation that restoration times after blackouts are significantly increasing in th US since the nineteen sixties. Does Germany have the Best Security of Supply in the EU? The German Federal Ministry for Economic Affairs and Energy (BMWI) claims that Germany has the most reliable electricity supply in the EU. But the comparison with other EU-countries is biased and BMWI ignores Denmark. See my comment. The Danish Energy Agensy has published a report on 5 fossil free Danish scenarios by 2050. See the DEA introduction with links to summaries in English. Here is the full report in Danish. Is Danish wind power integration a success? Or is Danish wind energy being given away for nothing? Here is my contribution to the myths. with wind power data for 7 European countries is now available here. 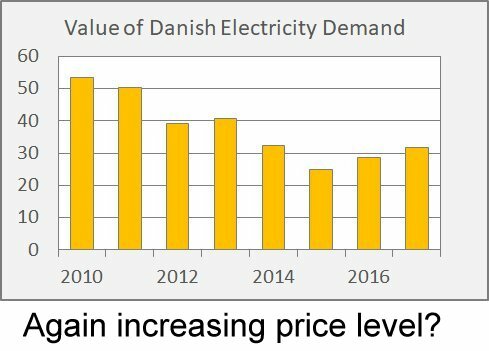 Since 2000 Danish electricity prices have increased remarkably. What happened? Nobody seems to feel responsibility for the cost of electricity in Denmark. Does DONG Energy Pursue the Wrong Targets? A comment on the sale of DONG Energy shares to Goldman Sachs. Facts on electricity exchange and spot prices in December 2013. Danish electricity consumers have reached a top ranking on a list of EU electricity prices. 50% wind energy by 2020 is a Danish political target. So far there has been only a limited debate on the sources and the economy of the remaining 50%. This article was printed in two Danish magazines in January 2014. Due to changed patterns of energy consumption in Denmark the revenue of energy taxes is falling. This is compensated by new taxes or higher tax levels so the consumers must pay both the full tax and the more expensive energy solutions. So far the public planning has not shown this consequence. See my call for an open tax replacement policy. A scenario study was made in cooperation with the Danish District Heating Association. Thanks to Hubert Flocard it is now possible to download Belgian load data and wind power data, including separate time series for onshore and offshore wind. Assumptions on decreasing capacity factors for Danish wind turbines were discussed below on 22 September 2012 and 25 December 2012. Now a Danish expert has confirmed the degradation. Now the California Power Utility Commission (CPUC) has set energy storage goals for the Californian power utilities. "Projectgroep Biomassa & WKK" had a seminar in Rotterdam on 2nd October 2013. Pumped storage is supposed to be the perfect technology for smoothing load variations. Now Vattenfall seems to be about to close its German pumped storage plant due to loss of money. Here is my economic evaluation. Energinet.dk has informed me that also separate onshore and offshore wind power outputs for 2011 are available. 2011 is considered to be a very normal wind power year. The new time series have been added to my download centre. Energinet.dk has started the publication of separate hourly time series for Danish onshore and offshore wind. The time series for 2012 and 2013 are available from my download centre. Time series for photovoltaics (PV) are supposed to follow soon. Crucial decisions on the development of the Danish energy systems during the period 2020-2035 must be made in the near future. A comprehensive energy analysis from The Danish Energy Association has asked some very interesting questions. The German Bundesnetzagentur has published its report on the supply situation for electricity and gas during the winter season 2012/13. The system balance is increasingly depending on export of electricity. The German Bundesnetzagentur prepares a report on the grid condition for the Federal Ministry of Economics and Technology every two weeks. For inscrutable reasons the reports are secret. Statnet has signed agreements on new interconnectors to Germany and Great Britain. The ERA Net workshop was a part of the Smart Grids Week in Salzburg 13th to 17th May 2013. My comments from 9th January 2013 called for an open Danish strategy for the future power plant capacity. On the 22nd March 2013 the Energinet.dk CEO, Peder Østermark Andreasen, states in an article (in Danish) that a capacity market in Denmark would be an unnecessary additional cost to electricity consumers. Blackout investigation reports have been important sources of improved operating security of power systems. Read here about lessons learned and ignored. The Institute for Climate Protection, Energy and Mobility, IKEM, in Berlin held a workshop, Power to Heat, on 10 April 2013. It was the purpose of the workshop to exchange experience among experts with political, theoretical and practical background on the possible interaction between heat and electricity sectors in order to achieve the best possible integration of renewable energy sources. A simulation tool was developed for a client. It simulates German electricity generation from 2010 to 2020 hour by hour based on a merit order list. ENTSO-E (the European Network of Transmissions System Operators for Electricity) has published an interesting response paper to an EC public consultation on "generation adequacy, capacity mechanisms and the internal market in electricity". Will there be sufficient power plant capacity in Denmark in the future? The Danish Energy Association says no. The Danish system operator, Energinet.dk, is confident that new interconnectors can replace domestic power plants. The Renewable Energy Foundation has published a new study on wind farm performance in The UK and Denmark. The study was made by Professor Gordon Hughes. The main finding is a surprisingly high decline in energy output as the turbines get older, particular in the UK. Maintenance policy and immature technology may have contributed to the results. On the 28th November 2012 the German Government adopted an order on the disconnection of large electricity consumers within the framework of intelligent grids. The reason is the still more frequent cases of strained conditions on the German transmission grids caused by the "Energiewende". The Government has put a brake on the photovoltaic (PV) development in Denmark. I have analysed the interaction between PV, wind and CHP. A certain share of PV seems to reduce the imbalances, caused by wind power. From an operational point of view the annual wind energy should be about three times the PV energy. Will Wind and PV displace CHP? In 2001 CHP supplied 60% of Denmark's electricity consumption. In 2020 wind power is supposed to supply 50%. CHP plants and wind farm are already competing for sale of electricity. A boom in PV may add to the competition. The flexibility of the CHP systems is decisive for the RES integration. What will be the future role of CHP? From 2012 the collection of hourly time series includes wind power output and other relevant data from Denmark, Germany, Republic of Ireland, Great Britain, France and Spain. In some countries it has been observed that the capacity factor for wind tubines declines up to 2% per year. Wear and tear is asumed to be the cause. Even wind turbines in Denmark have declining capacity factors, but at a much more modest level. The main reason seems to be changing wind conditions. 3,215 onshore turbines installed between 1992 and 2001 have been analysed. Germany has ambitious plans for the use of renwable energy. The German Energy Agency (dena) has published a new study on the integration of renewable energy souces in Germany. The study is based on guiding scenarios published by the Federal Ministry for the Environment, Nature Conservation and Nuclear Safety (BMU). On 30 July 2012 and again on the following day large grid disturbances occurred in India. AC grids are complex systems and especially large AC grids are vulnerable. In India local overloads started cascading outages affecting up to 620 million people. Two of nine examples of excellence provided by Energinet.dk. The US Department of Energy (DOE) has taken the remarkable initiative to produce a survey on the state-of-art in wind power integration. The survey includes 72% of installed wind capacity in the world. Wind power has changed the operational conditions and the system operators have already done considerable development efforts in order to maintain normal system security. Energy storage is necessary for efficient utilisation of high shares of wind and solar power. The combination with CHP produces too much electricity during the cold seasons and too litte during the summer. At Brædstrup in Jutland a heat supply system with CHP, solar panels, hot water tanks and a borehole storage for seasonal variations is now in full operation. The Ferc/Nerc investigation report demonstrates that the system collapse was caused by insufficient planning tools, inadequate situational awareness and uncoordinated relay settings. The recommendations after the blackout in 2003 seem to have been negelected. The German Federal Grid Agency has issued a report on the supply situation for electricity and gas during the winter season 2011/12. Such reports are informative, but unfortunately rare. In a letter to the European Commissioner for Energy, Günther Oettinger, the presiden of ENTSO-E, Daniel Dobbeni, has expressed concern about security of power system operation in Europe. Besides, additional data from the 50Hertz area throws new light on the grid conditions in Germany in the first quarter of 2012. Energinet.dk has announced that a study of an interconnector between UK and Denmark will start immediately. British system prices for 2009, 2010 and 2011 are now available on the download page. The new data includes System Sell Price (SSP) and System Buy Price (SBP) in £/MWh (average values per hour). My article on the potential flexibility of the CHP systems has now been published by Euroheat & Power (IV/2011). The German Bundesnetzagentur (The Federal Network Agency) has published a 50 page paper (in German) with interesting views on smart grids. The agency calls for a debate. See my contribution to the debate here. For the first time ever a national grid development plan will be prepared jointly by the four German grid operators. Bundesnetzagentur (The Federal Network Agency) recently approved a framework of scenarios for the planning. The plan must be ready by June next year. Find an overview of the scenarios here. The download section is currently being extended. Time series on Photovoltaic (PV) production and offshore wind are now available. PV has gained a significant volume in Germany and it is increasingly important to understand the different variabilities of PV an wind power. Find the data in the download section. The Danish Ministry for Climate, Energy and Building has presented its Smart Grid intentions in a report: "Main Report - The Smart Grid Network's recommendations". The recommendations are quite sensible, but it is debatable if the increasing risk of power failures has been properly addressed. See my comments with links to the documents. Only poor information is available on the cost of electricity production. Therefore Colin Gibson's new probabilistic approach is a much needed contribution. A spreadsheet with data and macros is available, so those who disagree with Colin Gibson can easily make their own versions. See my summary and comment with link to the documents. Germany has stopped the operation of 8 GW nuclear power. Further 14 GW nuclear power will be decommissioned until 2022. The maximum electricity demand is about 80 GW. How will the nuclear power be replaced? Collecting time series for international comparisons of wind power integrations can be quite problematic. A selection of the time series used in my analyses is availale here. Thursday evening routine works on the substation Hassayampa in Arizona caused disconnection of a 500 kV line to California. After cascading outages several millions in Arizona, Mexico and California, particularly San Diego, lost power. The electricity supply was reestablished during Friday morning. A survey of the event will be presented here when sufficient details are available. Howard Rogers from The Oxford Institute for Energy Studies challenges in an excellent report the rosy expectations on the future energy supply in the UK. The increasing dependency on imported gas is not only a British problem, but a problem to Western Europe. It has a worrying similarity with the oil dependency prior to 1973. 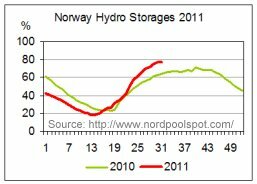 The water level in the Norwegian hydro storages is now close to be normal for this time of the year. The improvement is mainly due to the heavy rainfall in 2011. The spot price level has fallen during the same priod. Denmark and Germany have no longer significantly lower spot prices than Norway and Sweden. Time series for British wind power in 2010 have been downloaded from Elexon. This allows a desirable extension of the wind power surveys for Denmark, Germany and Ireland. The results indicate that wind power in Ireland and Great Britain have simulaneous variations in the same way as wind power Denmark and Germany. Read more in Enlarged Wind Power Statistics 2010. Danish wind energy is not supposed to be exported. However, it cannot be refused that wind power and export of electricity are closely related. Again in 2010 Danish interconnectors had poor availability. Furthermore the Norwegian hydro production was much lower than in a normal year. Read more in Statistical Survey 2010. The survey also includes wind power data from Germany and Ireland. 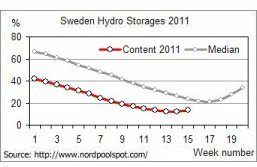 The water level is very low in the Norwegian and Swedish hydro storages this year. The cause is an increasing consumption of electricity and a low inflow of water in 2010. Norway is saving water by a considerable import of electricity. The water level is increasing again from the middle of April 2011. Read more about exchanges and spot prices in 2011. 'Smart Grid' is often used as a magic word in explanations on wind power integration. However, some dilemmas deserve a more thorough discussion. In Denmark wind power and CHP (combined heat and power) are competing for the electricity demand. The competition may threaten the existence of small CHP schemes with vulnerable economy. The district heating systems also include opportunities for storing energy and for utilizing overflow electricity in a useful way. There are new business opportunities for CHP companies by a stronger engagement in the electricity market. I have tried to demonstrate the possibilities in a new report. The Danih magazine "Fjernvarmen" has published my results. See my English version. 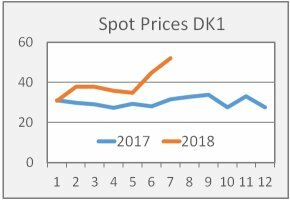 In East Denmark the spot price of electricity today climbed to a new record and the media predict increased electricity prices in 2011. What is going on? Could the present power system be extended by nuclear power? Julie Søgaard from Radio Denmark asked me this surprising question..
Wind power integration is an important issue in the UK. As a contribution to the debate Renewable Energy Foundation (REF) has puiblished a book with five of my recent papers. 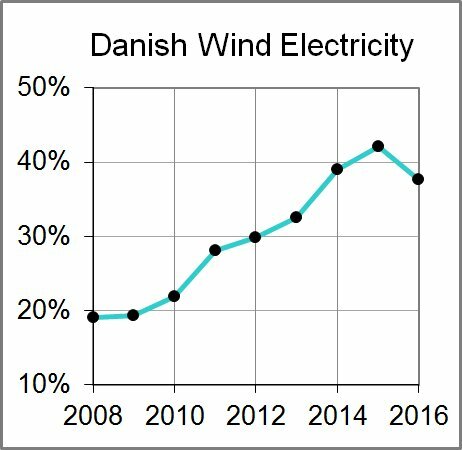 My work is interesting in the UK because easy access to time series with Danish market data made analyses of the impact of wind power possible. This is not the case in the UK. REF therefore connected the launch of the book with an initiative for data transparency in the electricity industry in the UK. The European Wind Integration Study has published a path breaking report. Large scale analyses for nearly 30 European countries have been made. The analyses include market performance, grid flows and system security for the year 2015. The installed wind power is assumed to grow from about 70 GW in 2008 to about 140 GW in 2015 causing high flows and increased congestion in the grid. A series of technical measures have been planned. See: EWIS Final Report 2010. Aggregating wind power for a large geographical area results in a more smooth production. In the UK it is widely believed that UK is so large that a certain minimum production from dispersed wind power plants can always be counted on. Unfortunately time series for wind power output have not been published in the UK in the same way as in Denmark and Germany. Therefore I have used Danish and German data in order to shed light on the matter for a geographic area of similar extent as the UK. The European Commission has adopted a decision rendering legally binding commitments offered by Svenska Kraftnät that will increase trade in electricity within Sweden and between Sweden and neighbouring countries. The improvements must be efective by 1 November 2011 at the latest. The authors of the CEESA report have responded to my criticism. The new comment repeats that Danish power plants could have reduced production during periods with high wind power output and that the export therefore was competitive thermal power. On the other side it remains unchallenged that the net export of electricity reflects the irregular variations of the wind power while the thermal power plants rather follow the daily cycles of electricity consumption. This observation indicates that the export is highly influenced by wind power. The export of electricity cannot be traced objectively. Therefore it is strange that a complete rejection of one of the two interpretations is so important. One reason could be that the market value of export can be calculated and compared with the cost of wind energy. I must add that nothing in the new comment changes my criticism of the professional quality of the first CEESA report. My Spot Price Study last year for Renewable Energy Foundation was based on data surveys for the years 2006 to 2008. The series has now been extended by a data survey 2009. Last year the Danish Center for Political Studies (CEPOS) published the report Wind Energy – The case of Denmark. The report points out that a main element of the praised Danish integration of wind power is leaving absorbtion of wind power variability to larger neighbouring countries. Questioning the Danish myth on outstanding integration of wind power causes anger. The report Danish Wind Power – Export and Cost was published by Aalborg University, financed by CEESA and signed by a number of well-known Danish energy experts. Based on poor professional evidence the CEESA report categorically rejects the analyses and conclusions of the CEPOS-report and particularly my calculation of wind energy export. See my answer: Wind Power Variations are Exported. Wind Power and CHP: Conflict or Interaction? It is a political agreement that wind energy must contribute significantly to increased use of renewable energy in Denmark. However, this policy creates a dilemma because the electricity demand in Denmark is insufficient for both wind power and CHP. Wind power and combined heat and power (CHP) make sense only together with a corresponding electricity demand. Using electricity for heating is the logical solution, but it was for many years a taboo in Denmark. However, wind power and CHP cannot both be operated efficiently in the future unless water for district heating systems can be heated by electricity. This view has gradually won general support. I also want to be able to quantify the effects of a properly coordinated operation of wind power and CHP in Denmark. Reduction of carbon emission to the atmosphere has become a highly prioritized national and international target. It is incredible that we feel so rich and secure that our essential concern relates to long term climate changes. This condition cannot last. More urgent global problems will set another agenda long before the climate change is perceptible. Several companies, municipalities and islands have declared themselves to be carbon neutral because they have purchased carbon free energy. But providing carbon free energy is only a part of the solution. The heavy problems have been pushed on somebody else. The electricity system must also provide a permanent balance between consumption and generation and it must supply heat for the large number of Danish district heating systems. In 2025 Denmark is supposed to have twice the present wind energy corresponding to half of the electricity consumption. Implementing the necessary transition of the power system will be an exciting development process aiming at securing both electricity and heat supply and minimizing the waste of wind energy. "Energinet.dk and Statnett - the transmission system operators in Denmark and Norway - have decided to build a new power cable between the two countries. The Skagerrak 4 cable, as it is called, will have a capacity of 700 MW and is expected to be commissioned in 2014 provided the cable is given the seal of approval by the energy ministers of the two countries and the necessary authority approvals are obtained." See the full text of the press release from Energinet.dk. The German energy company, E.ON, announces that it is selling its EHV transmission company, Transpower, to the Dutch transmission system operator, TenneT. The sale meets part of demands from EU and releases E.ON from suspicion of discrimination of market participants due to ownership of both power stations and transmission grids. See the announcement from E.ON. 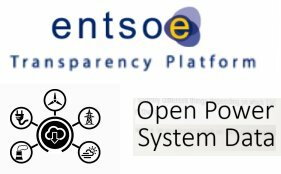 The association of European power system operators, ENTSOE, announces that an agreement on market coupling principles for the day-ahead markets has been made between system operators in North and Central Europe. The agreement will pave the way for an efficient use of the interconnection capacity, coordinated price signals and a more efficient system operation. See the announcement from ENTSOE and the joint declaration. Danish Energy Association has filed a complaint against Svenska Kraftnät (Swedish system operator) with the EU Commission over limitations in the capacity of the interconnectors between Sweden and Denmark. After negotiations with Svenska Kraftnät the Commission has published a proposal accepting the Danish views. The proposal is good news for Danish electricity consumers. See the announcement from the EU Commission. The liberal spokesman on climate and energy, Lars Christian Lilleholt, will gradually reduce the support for wind turbines and replaced it by more money for the development of hydrogen, biogas and solar energy. 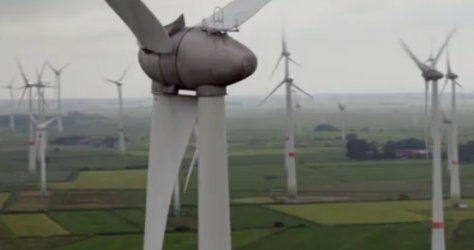 The production of wind energy in Denmark is about 20% of the electricity demand, but due to the intermittency of wind power most wind energy has been exported, says the Danish Center for Political Studies (CEPOS), and the wind energy utilised in Denmark is unreasonably expensive to Danish consumers. EcoGrid.dk is a large scale project for the integration of wind power. Phase 1 of the project was terminated with a workshop in May 2009 at Energinet.dk. The most important messages were presented by Thomas Ackermann on NWPC'2009. The spot price study was made earlier this year for the Renewable Energy Foundation (read more here). The main results were shown at the conference, NWPC'2009, at Bornholm (a Danish island in the Baltic Sea) on the 10th and 11th September 2009. It was emphasized, that the capacities of the interconnectors during the 3 years, which have been analysed, for technical or other reasons are much below the nominal values. The problem can hurt the future utilisation of wind power. In a comprehensive report the German Monopoly Commission points out that competition in the energy markets has serious shortcomings. This is particularly the case for the supply side and for the wholesale markets. The commission is advisor to the German government on competition and market issues. The report recommends several improvements, including systematic market monitoring, complete market transparency to an independent market monitoring body and implicit auctions for congestion management of interconnections. The four German TSOs and the European Energy Exchange, EEX, will publish generation and consumption data in order to increase transparency of the wholesale electricity market. Since 1963 Nordel has been the essential driving force in a coordinated development of Nordic power systems and electricity markets. The structure of Nordel has changed, when needed. Since 1998 the members were the Nordic TSOs. As from 1st July 2009 all activities have been transferred to the European association of TSOs, ENTSO-E.
Read more on the Nordel web site (available the rest of 2009) or go to ENTSO-E.
Policy Exchange in London has published a paper "Knowledge is power", to help alleviate the crisis of confidence in Britain's liberalised energy market. The paper is particularly directed to the end-user market of electricity. Those who claim that Denmark skilfully has integrated 20% wind energy in the electricity supply system are exaggerating. It is more accurate to say that Denmark and Germany as an entity has integrated 7% wind energy. 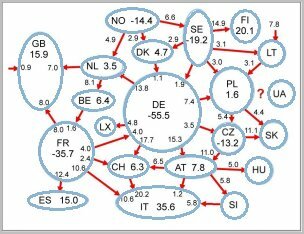 This is one of the surprising results of an examination of Danish and German data form the years 2006 to 2008. The Danish achievements have mainly been possible due to dynamic international markets and strong interconnections to large neighbouring countries. Therefore Renewable Energy Foundation has pointed out that Britain cannot just proceed in the wake of the Danish wind power development. An ambitious program for British wind power must be accompanied by new measures for maintaining power system balance and security. The transmission system operators in Denmark and the Netherlands, Energinet.dk and TenneT, have entered into a formal agreement on continued preparations for an electric interconnection between the two countries. Read the Energinet.dk press release. Energinet.dk has published the analysis "Efficient utilisation of electric wind energy in Denmark - Interaction between wind power, heat pumps and electric cars." Read more at Energinet.dk's web site.